The Ministry of Environment, Forest and Climate Change (MoEF&CC) has scrapped the Madhya Pradesh Forest Department’s (MPFD) proposal to start tourism in degraded forests outside national parks and wildlife sanctuaries in the state. The concept note for the proposal was developed and submitted to the Centre in 2015, following a discussion between Prime Minister Narendra Modi and Madhya Pradesh Chief Minister Shivraj Singh Chauhan. The duo had talked about “private investment in forest and wildlife conservation” in October 2014. Their discussion was followed by the proposal submitted to Modi by Chauhan. In his letter, Chauhan proposed freeing wildlife from the “complete hold” of the MPFD by allowing private investment to improve degraded forests, conserve wildlife and promote tourism. Sources said that the underlying objective of the proposal was to “rejuvenate” degraded forest areas in order to take off the pressure from existing tiger reserves. Degraded forests are usually found in landscapes where forests are over-exploited due to human activities. Such forests have reduced ecological functions with moderately to severely depleted population base of native species. They are also low in productivity. Mostly, degraded forests in India are present around various national parks and sanctuaries. As per news reports, the MPFD made a presentation to the environment ministry during which it proposed the idea to “create secure habitat for dispersal of tigers (search of new territories by young tigers) and to develop eco-tourism in degraded forest lands through public-private partnership (PPP) models”. Proponents from the MPFD were seeking permission to allow private investors in forests to install cameras near waterholes and artificially-built tiger dens for live streaming of tiger videos to tourists staying at resorts. The Madhya Pradesh government’s proposal also envisaged the construction of roads in degraded forest areas. According to the MPFD, this would have boosted tourism in the state’s degraded forest areas and provide jobs to locals though there was no mention of obtaining the consent of local communities mandatory under the Forest Rights Act. The reason behind rejecting the Madhya Pradesh government’s proposal is not clear. A forest department official said on the condition of anonymity that since the proposal was not being considered by the environment ministry anymore it was a closed matter now. “Such a plan would discourage further activities of the state forest department to improve habitats for better wildlife management and forestry, once the private sector gets hold of degraded forest areas, he added. It is not clear on what grounds the proposal was rejected, but it appears that the ideas presented through this proposal clearly lacked a scientific rationale, experts said. For instance, the proposal suggested that around 2,000-5,000 hectares of degraded forests would be handed over to private investors for setting-up infrastructure and construction of roads. Once the habitat in such areas is developed, wildlife would be “translocated” in the newly-developed habitats. It must be understood that so-called degraded forests outside the PAs in Madhya Pradesh already provide habitats for other types of wildlife besides tigers and livelihood support systems (fuel and fodder) to the local communities. Degraded forests also provide various ecosystem/ecological services in terms of water retention, biomass preservation, soil conservation and flood regulation. Setting up of infrastructure and road construction in degraded forest areas can further deteriorate fragile ecosystems on which various wildlife species and rural people depend. The proposal suggested the idea of creating artificial dens for tigers where cameras would be fitted for live streaming to capture the movement of big cats. 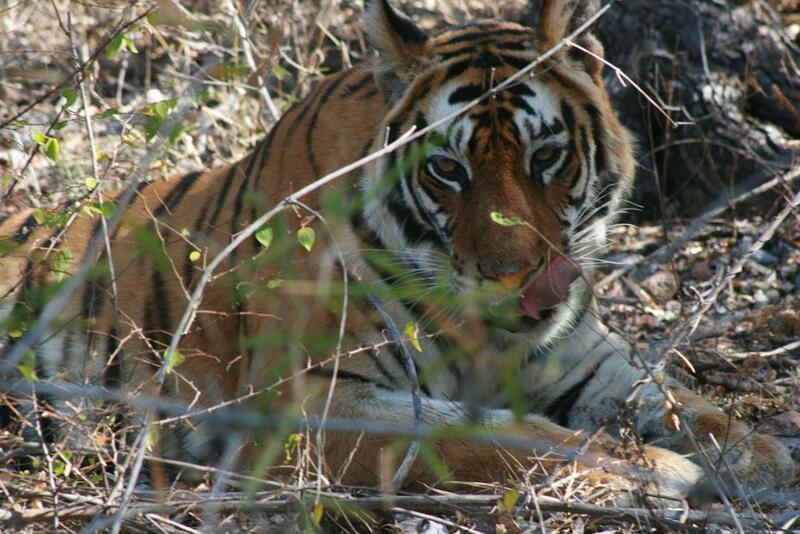 Wildlife experts say that much is still to be known about tigers’ habitat preferences. With a depleted prey base, tigers may not choose degraded habitats unless they are kept in captivity. Translocations, especially of large mammalian herbivores and predators, are no child’s play, warn experts. India does not have enough experience and expertise in translocations of large animals. Moreover, big cat species such as tigers and leopards have “homing instincts” due to which they tend to move towards their original territories even after they are shifted. Translocation of wild animals is also a costly affair. The added costs of infrastructure and road development, regeneration of forests, creation of artificial dens, camera installation and monitoring may not justify the investment that does not guarantee proven benefits to wild animals or local communities. Another concern was how the needs of the local population would be met if degraded forests were handed over to private investors. The proposal did not clarify whether the revenue earned from tourism would have been shared with local communities.